Clan Gordon is a letting agent and Living Wage Employer, focused on raising the standard of properties available to tenants in Edinburgh. Jonathan Gordon, Managing Director shares why the decision to pay the real Living Wage made good business sense - a dedicated team allows you to stand out from the crowd. When Clan Gordon was initially founded in 2008, it was just myself and my brother Andrew working from my living room; which feels a long way from where we are today with a portfolio of over 550 properties and a team of 12 staff. We knew from these very early days that, as the company expanded, it was important to us to compensate our staff fairly. Clan Gordon employees have always been paid above the industry average, as we believe that everyone should receive a salary that allows them to cover real living expenses, in addition to reflecting their skills and experience. Becoming a Living Wage employer has allowed us to position this ethos at the heart of our business as we continue to grow and develop. As a letting agent, operating in the competitive Edinburgh buy-to-let property market, we know that our team is our greatest asset. To stand out from the crowd, we need dedicated and enthusiastic employees who are genuinely happy to go over and above to meet the needs of our landlord and tenant clients every day. Being a Living Wage employer means that our employees know that they are paid fairly and their contributions to Clan Gordon are appreciated, reinforcing our ethos and creating loyalty and motivation with our team. Our status as a Living Wage employer is also beneficial when advertising for new members of staff – we created two new positions in December 2018 alone – as potential applicants can see straight away that we are a company who values employee welfare. Even new employees who do not benefit directly, because their salary already exceeds the living wage, are reassured by our Living Wage Employer badge that they will be paid fairly, no matter what end of the pay scale they join us at. Another advantage of paying real living wage salaries is that we tend to keep our staff, which can be rare in the high-pressure world of property management. Retaining staff means our team can get to know every client and property in our portfolio, allowing us to provide consistently high levels of service to all landlord and tenant clients. We fully believe that a happy team creates happy clients, which is our goal with everything that we do. We are proud to be a Living Wage Employer and hope that more and more local businesses will take the opportunity to get on board and provide real living wages for their staff. We have seen fantastic benefits so far and are excited to continue growing our business while supporting our team by paying the fair salaries that they deserve. Staff motivation, retention and attracting new employees are just some of the benefits that come with paying a real Living Wage to your team. 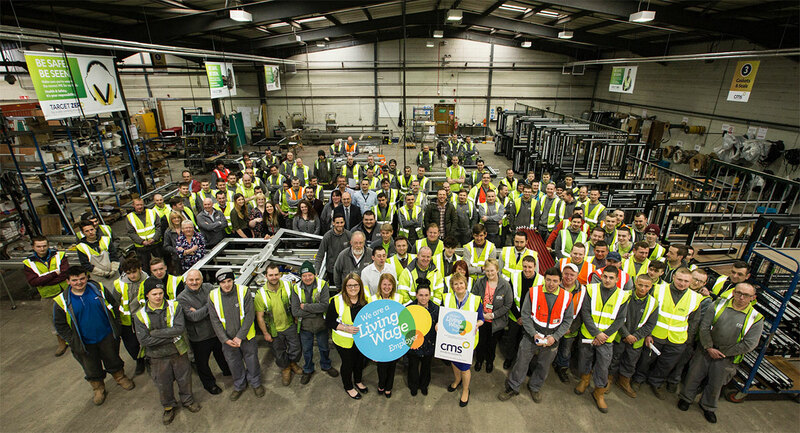 Thousands of employers like Clan Gordon, are committed to paying the real Living Wage. Find out how you can join them.